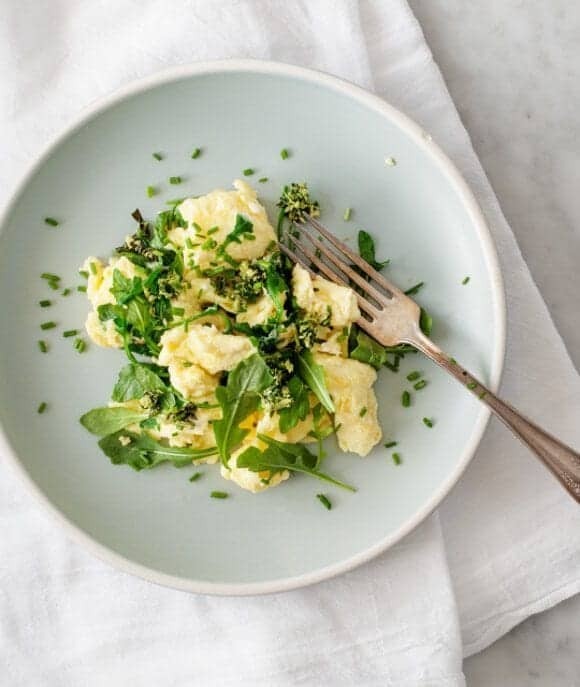 Arugula, kale pesto and scrambled eggs. 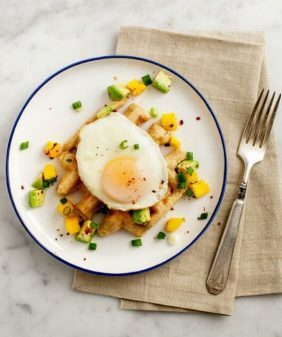 A simple breakfast for simple leftovers. I though I’d share one last pesto meal. (It’s gone now, I promise pesto week is over. At least for now). I love a good breakfast, but I don’t like to wake up and spend a lot of time cooking first thing in the morning. This is very much a non-recipe, but it’s something simple that I make all the time, in one variation or another. 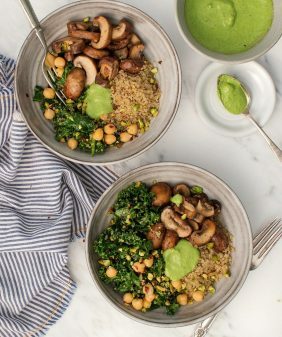 It’s never to early in the day to fit in some green food, right? Heat oil in a nonstick skillet. Pour in the whisked eggs and let them begin to set (10 seconds or so). Stir to scramble. 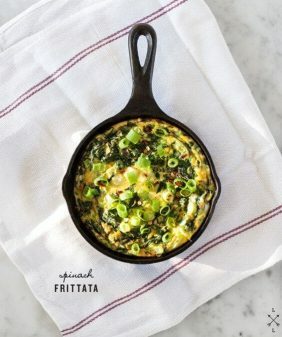 After the first stir, toss in handfuls of arugula so that it wilts down slightly with as the eggs cook. Continue to scramble until your eggs are slightly underdone. Serve with spoonfuls of pesto, chives, salt & pepper to taste. Wow this is soo beautiful and perfect for Spring. Can I ask why you recommend adding a splash of milk or water to your scrambled eggs? I have done this before, but usually forget but never knew the purpose. thanks Beth! I find that it makes them a little lighter and fluffier. But I’ve read different opinions about it, so might be a matter of personal preference. Looks good, Im going to have to try this! I’m so obsessed with kale lately. 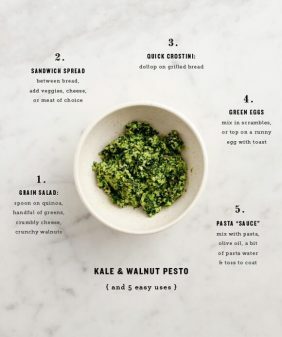 I love that you have so many recipes using kale! 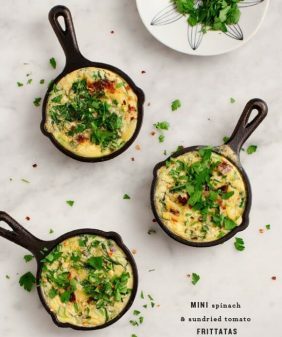 I have been loving all of your recent egg dishes! And your dogs on instagram, they are so cute. I’ve really enjoyed pesto week! Homemade pesto is perfect for spring. 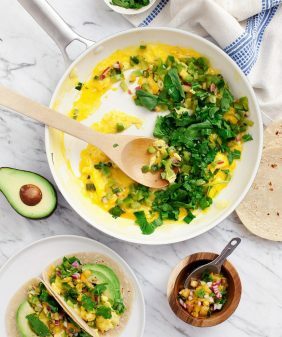 This scramble sounds perfect–delicious, simple, fast, and bursting with vegetables. The best breakfast! You are SOOO good at creating recipes that use staples in my fridge! Seriously. This is one I will make for sure. Hmmm…perhaps even for lunch in just a bit. I do have some great eggs, kale and arugula from the farmer’s market! I don’t have chives, but I’m sure some green onion will do the trick. of educationand fully defined, keep it up all the time.